The Sages teach that when the Six Days of Creation were over, everything in the universe was in place. What was the world lacking? Only one thing - it lacked the contentment of a genuine, spiritual rest day, a contentment that could replenish the human spirit and bear testimony to the Architect and Creator of all that was. When the Sabbath came; contentment came. Our weekly Sabbath is a regular renewal of that final necessary aspect of Creation; our renewed acknowledgment of Him Who made all and grants us a share of the World to Come on earth, every seventh day. 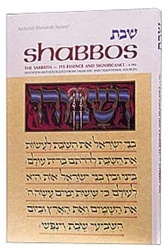 --The liturgical section contains some of the more familiar family prayers and songs of praise. 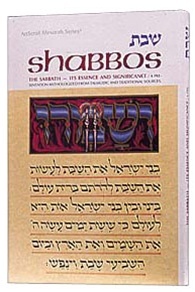 Drawn from the rich lodes of Jewish thought and practice, the book will help the reader enter the joy and holiness of the Sabbath, for the better we understand the deeper content of the day and what it represents, the better we enter into its higher universe.